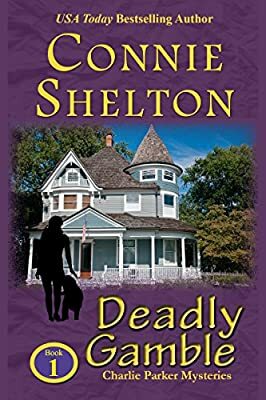 Author: Shelton, Connie Set In . . . In this debut almost-cozy mystery series novel, Charlie Parker, accountant and partner in an Albuquerque private investigation firm, is visited by her old school friend, Stacy North. Stacy's Rolex watch is missing and she begs Charlie to help locate it before her husband finds out. Things are complicated by the fact that Stacy had been seeing another man, Gary Detweiller, and he's the one she suspects of having stolen the watch. With a little detective work, Charlie and her sidekick dog, Rusty, retrieve the missing watch and all should be well. But three days later, Detweiller is murdered. All eyes turn to Stacy as the prime suspect. Includes new foreword from the author upon the 20th anniversary of first publication of this ongoing mystery series first title.